Blake Raintree, the heroine of The Secret Under My Skin, is now 18, returning to the city of her birth as an aide to a justice council charged with trying to address the wrongs of the technocaust. While in the city, Blake submits the ID code from the microchip that was implanted in her arm in infancy by her parents, hoping to find out more about her past, and especially her father. What she learns will cause her to question everything she knows about herself. Torn between a terrible anger and a search for the love and acceptance she has been denied all her life, Blake faces a harsh choice. 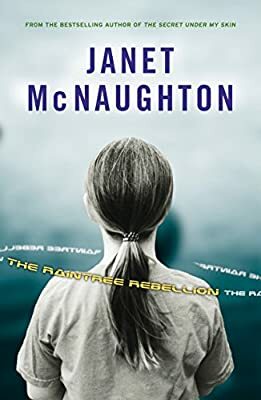 A 2006 JAB ( Junior Advisory Board) Pick, The Raintree Rebellion is nominated for the OLA Red Maple Award.